#1:Parent arrives at nest late afternoon with fish in its gullet. 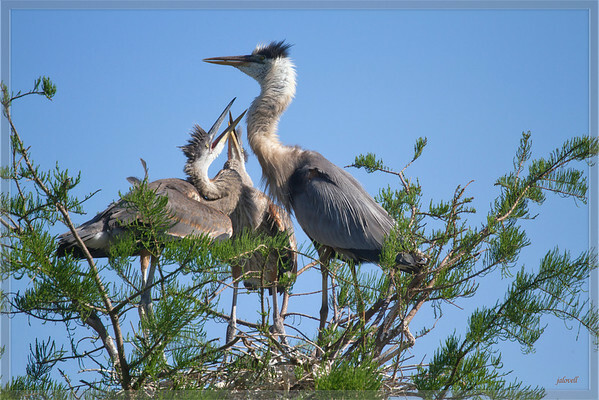 This and the next few pictures were selected to show Great Blue Heron Feeding activity. The feeding time is very active and agressive as the nestlings grow bigger and ever more voracious. Both parents are share the feeding duties and are quite diligent. Its a rough and tumble process with much sibiling rivalry. Generally first hatched is the biggest and grows the fastest due to that first position.